You deserve a protein shake made for YOU! There are literally hundreds of men’s protein shakes on the market, and they’re loaded with sugar, calories, and other ingredients that do nothing for you. IdealLean Protein has just 80 deliciously smooth calories and 20 grams of whey protein isolate, so you can fuel your body right! As women, we have unique nutritional needs. IdealLean Protein meets those needs head on. And because we know that women play hard and never quit, we’ve added our IdealFit Proprietary Recovery Blend, packed with L-Glutamine and superfruits to help your body recover from any challenge you take on. Get ready to get lean! I was excited to try the strawberry, but it was WAY too strong and has a weird aftertaste. I believe it is the similar issue as the new vanilla formulation. I can only rely on the chocolate flavors from Ideallean from now on. Due to a lot of mixed reviews I figured I'd chine in. Great flavor, found it to be best in almond milk there's a new banana almond milk out and mixed with that it tastes amazing! I was really excited to get this protein. I had heard really good things about it, but wanted to try this flavor because I love strawberry stuff. This is not what I was expecting. It’s called strawberries and cream, but doesn’t taste like strawberries that much. Just the cream part, which is very weird. I’m having to mix it with some old vanilla protein that I had for it not to be so creamy tasting. It’s hard to describe. I won’t be buying this flavor again. So, sadly, this flavor isnit very good. I’m using it up by mixing it with my chocolate but I still don’t love it. I’ve had other IdealFit Protein powders and have always told people they couldn’t go wrong with any of the products. This is so chemical tasting! I mix it with a vanilla protein powder from another brand so I can handle it. I have two other powders from IdealFit that I haven’t opened yet and I’m genuinely concerned. 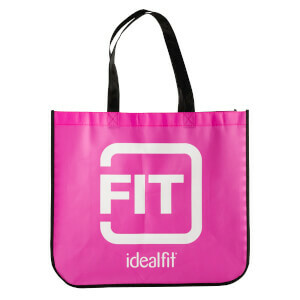 I hope they will revive my love for IdealFit products! This flavor was terrible, I could barely drink it. Totally wasn't what I expected. I bought this in hopes it would be as good as it sounds but the after taste is almost nauseating. I am very disappointed in this one. I won’t let it go to waste so I have been mixing in lots of strawberries and coco powder to make it drinkable. The Strawberries-N-Cream used to be my favorite, until they changed it. It used to remind me of Nestle Quick Strawberry flavor, and it was nice & creamy. It seems like they changed the ingredients, so the texture of the powder is lighter, and even using the same amount of water/almondmilk 1/2c of each, it tastes more watered down, not as thick & creamy. The flavor wasn’t bad. It blends great but it’s way to sweet.